September weddings are so beautiful. They hold the anticipation of Autumn while still grasping onto the warmth and light of those long summer days, as well as the start of those beautiful rich autumn colours. 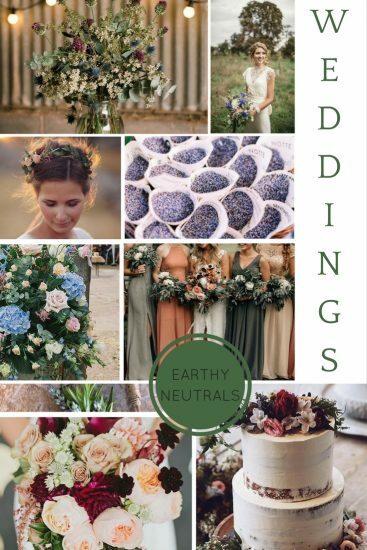 We love the earthiness of September weddings. Natural, earthy colours, for example; cream, sage, blush and lavender all look stunning when mixed with deeper, richer hues like burgundy, blue and violet. We also can’t get enough of this natural floral style. We love the unstructured bouquets and the use of soft blooms such as hydrangeas and garden roses mixed with festoons of greenery; like ivy or eucalyptus. September is also a month with a slightly bohemian feel to it. Say hello to boho updos and plaits, simple floral hair accessories and delicate dresses. We love the idea of combining sleeveless dresses with delicate lace – merging the lasting summer warmth with the chillier evenings. What is your favourite part of September weddings?